“The way is not in the sky. The way is in the heart.” – Buddha. I took this with my iPhone at a Meditation center I was at this a.m. I gave it a sepia tone, a little vignetting on the sides, a frame and a signature. Easy and fun. How is it a statue can look so serene? Amazing! Below are some of the apps I used to edit this on my iPhone. Beautiful and as you say very serene..
For a few seconds, I thought she was real and post-processed to look statue-like. I thought she was dressed to look like a statue. This is intriguing. Amazing software! Not bad for a phone right? Thanks for the comments and visit. You must be joking! A phone? What’s next? Cameras in our eyeglasses? I love it! Thanks for your comments. I didn’t mean “easy” to sound like arrogance, but rather to inspire others. If I can do it, anyone can…. You captured it’s essence and why we’re you at a meditation center? Fantastic shot of a beautiful Bouddha! No problem Those apps are amazing seriously. For the price of a couple of coffees and the amount of fun you get out of them. Thanks for comments. You encapsulate the idea of holism with your thoughtful composition. Great job! Thanks Millie, appreciate the comments. Very welcome, looking forward to your new work! Always look forward to your photos and posts. Great image! Thanks, Gina. Appreciate the comments. it is truly amazing what these phones will do! I haven’t bought a new digi-cam since losing my original because my htc evo 4g takes such good pics! What a peaceful shot! Looks so real…. 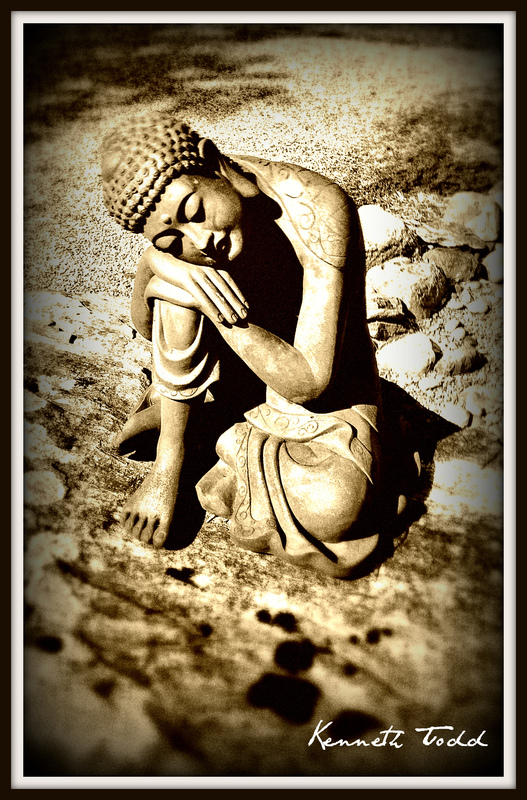 Buddha’s images always convey a sense of shanti… beautifully captured! very peaceful, very serene, very calming, and nicely done!